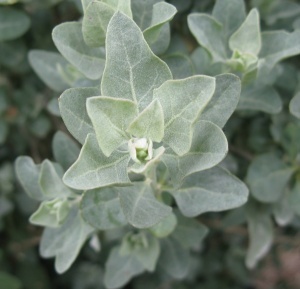 Lime tolerant shrub with showy foliage, ideal for gardens with sandy soil, esp. near the sea. Semi-evergreen, height in 5 yrs 4-5ft. Water until established. Prune in summer.